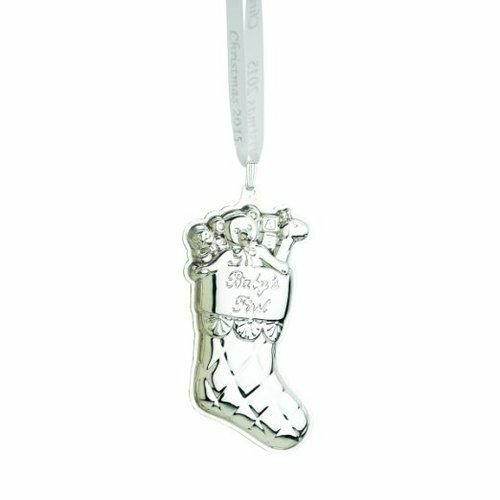 Reed & Barton celebrates baby's first Christmas with this quilted sterling silver Christmas stocking ornament. Embossed "baby's first" on the cuff, with a treasure trove of toys spilling out of the top, this keepsake is the perfect way to commemorate one of the many "firsts" for baby girls and boys. This memorable treasure comes with a year-marked white ribbon. Part of the baby's first collection. Elegantly packaged, including a protective red flannel bag, for gift-giving and storage. Handcrafted in America.